I've got a whole lot of love for Nourish already and their latest offering has given me even more reason to adore the natural British brand. Nourish have recently launched a range of indulgent body creams to protect and enhance the skin from top to toe. The collection includes four different creams, each with unique ingredients to target various skin woes and get your epidermal mojo back after winter. Containing Tonka Bean extract, this cream is for you if you're feeling a bit dull. Featuring Shea butter, Argan oil, Vitamin E, Omega oils and Rose Absolute, the Phyto-Active Body Cream is formulated to bring back the glow - in other words, tone and brighten the skin. 85% organic. This is the cream that I've been trying out and I am LOVING IT. For a product that's so jam packed with oils and butters, it really does feel incredibly light on the skin and leaves a very subtle 'glow' that's down to the addition of the Tonka Bean extract, which is naturally light responsive. The cream absorbs incredibly well too - I can put this on my legs straight after a shower and safely pop my jeans on almost straight away, with no greasy feeling. 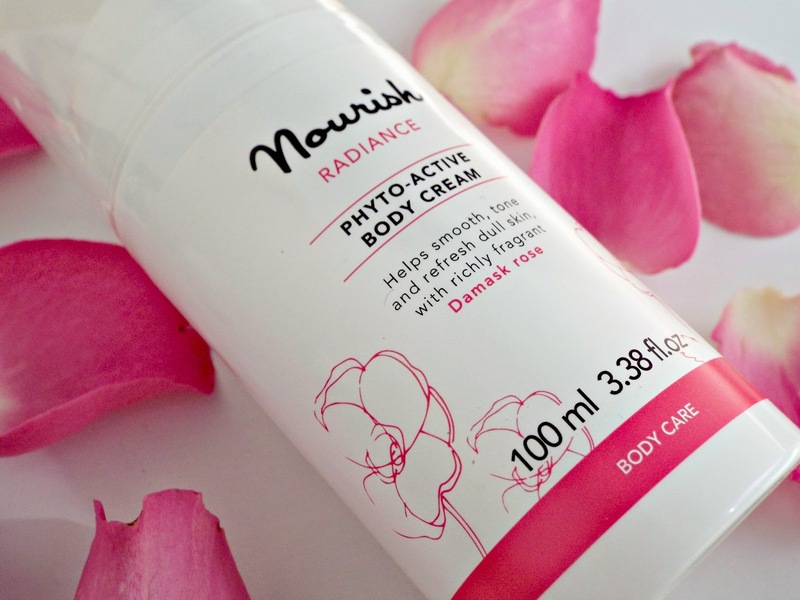 The scent of the Radiance Phyto-Activ Body Cream is a subtle 'true rose' fragrance which is wonderfully delicate and actually smells like proper roses. 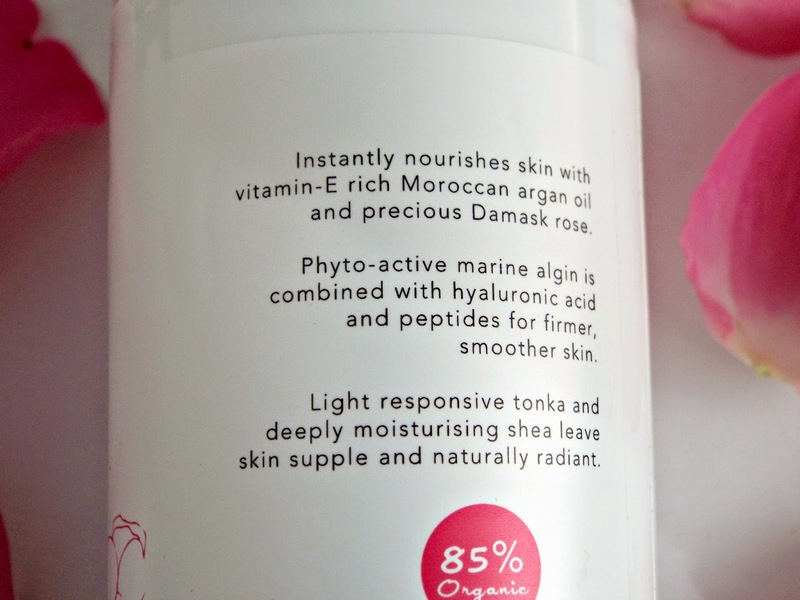 Overall, this is brilliant moisturiser that sinks in and leaves skin feeling soft but not as if it's loaded with product. Absolutely perfect for this time of year. Vitamin C and antioxidant rich with a dose of Hyaluronic acid, this cream is designed to stimulate collagen production and hydrate. Mandarin, orange oil and rosehip oil combine to increase tissue regeneration, refresh and tone dry skin. 85% organic. 90% organic, this relaxing cream is infused with calming lavender oil and features a shea butter base with Borage oil, Vitamin E and Omega 6 to repair, regenerate and prevent collagen depletion. If you have super sensitive skin, this is the one to pick. This anti-inflammatory protective cream is touted as an anti-cellulite cream that contains B3 and 'Tri-peptide 5' to aid in the metabolism of fat. This cream features soothing aloe vera and detoxifying sesame oil to reduce sign of aging and is complete with exclusive Apple Water extracts that exfoliate and leaved the skin smelling fresh and appl-ish. 87% organic. The Nourish Body Creams retail at a reasonable £14 for 100ml and are available from Nourish, Feel Unique and Debenhams.